A lovely yellow house in the small village of Selworthy. 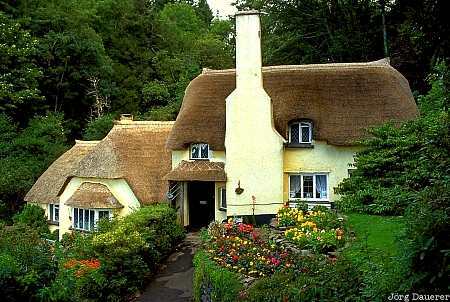 Selworthy is in Somerset in the south-west of England, United Kingdom. This photo was taken in the morning of a cloudy day in August of 2002.